We are just as obsessed with model secrets as you are. I mean, how, when they're constantly wearing heavy makeup for shoots as part of their job, does their makeup-less skin continue to glow? We couldn't help but wonder. There had to be a few tips and tricks they could offer up to help our own skin (especially in the throes of winter when we're at our driest and flakiest). With that in mind, we did a bit of research. To find answers to all of our burning skincare questions, we went through our past interviews and exclusives with our favorite models to uncover their most interesting advice. Spoiler: Sliced potatoes help with under-eye circles. Keep reading for skincare advice you never knew you needed from models. Kendall Jenner: "I've always been super [meticulous] about washing my face—and that's even before I started modeling. But it's definitely enhanced now because I wear so much makeup all the time. I wash my face at least two or three times a day. My sisters," Jenner says, "since they're a little bit older than Kylie and I, they've always wanted to help prevent anything that they've gone through when they were our age. So they're like, 'Never touch your face, never pick your face, always wash your face, and wear eye cream.' They literally give us everything that we should do. So ever since then, we've started taking skincare really seriously." Jaime King: "What I do for mascara that's very gentle is I wash my face, put the water on lukewarm, and take my fingers and gently rub my eyelashes under the water. And then you take your mascara off gently like that. Just gently massage your eyelashes under the water, and that way you don't have to scrub, scrub, scrub that delicate skin around your eyes, which is the first thing that starts wrinkling." Shanina Shaik: "In the morning, I cleanse, tone, moisturize, and exfoliate two times a week. I moisturize a lot—day and night. I usually change my skin products according to the seasons, for winter and summer. My skin is very oily, so I tend to opt for a lighter moisturizer. I love Kora Organics by Miranda [Kerr]—its cleanser is the product I really, really love. 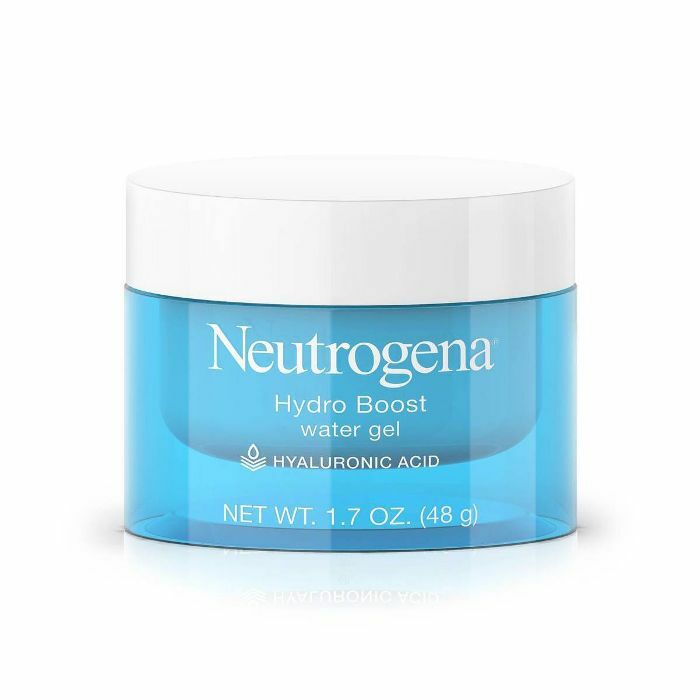 Neutrogena has amazing moisturizers, and I use a line called Adore. All the products are really beautiful, delicate, and gentle on your skin. The Golden Touch 24K Techno-Dermis Eye Mask ($995) is great." Anja Rubik: "I like to mix a lot of skin products. I'm actually a bit of a product freak. I have lots of organic things, too. 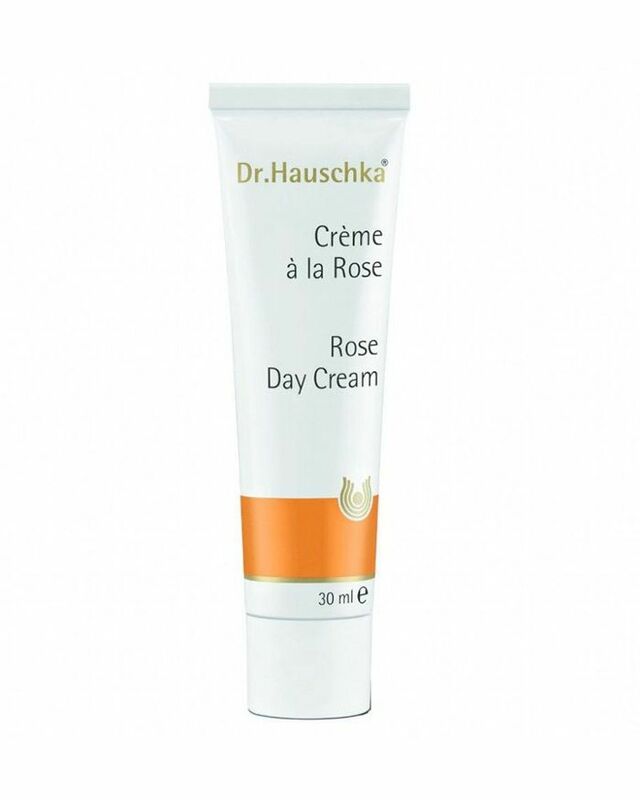 I love Dr. Hauschka Rose Day Cream ($45), and the brand has an amazing mask, too. I try to do a moisturizing mask a few times a week. I like the one by Nuxe ($25). 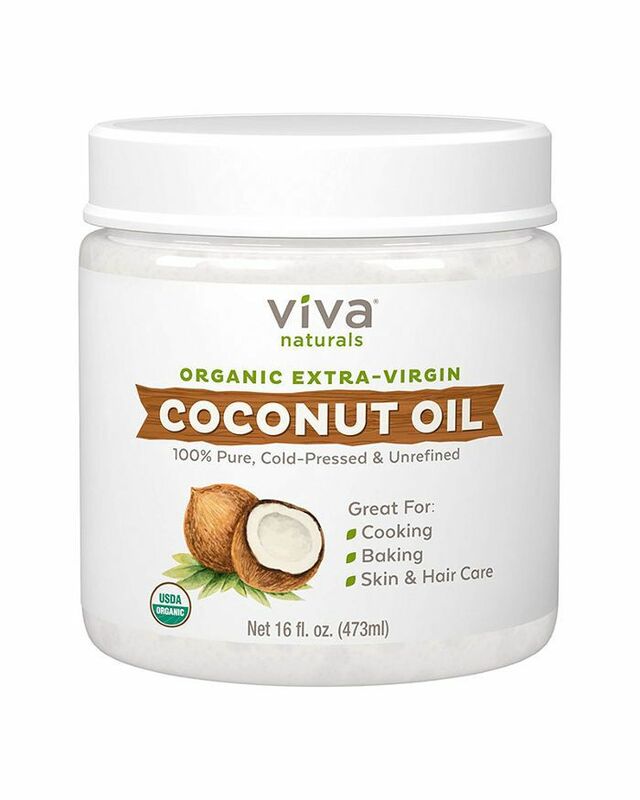 If my skin feels really dry, I use coconut oil on my face and on my body. I also have a cream that I picked up at the farmers market; it's made from bee pollen. It's quite gross when you apply it; it has a really specific smell. The next day, your skin is incredible, though! I never go to bed with makeup on. I think it's really important to cleanse your skin daily and really, really well. I like to mix things up because I think your skin is really individual and also changes based on what time of year it is, what time of your life. And of course, you can put on a great product, but a lot of it is what you eat and how you hydrate." Lindsay Ellingson: "Once a month, I see my facialist, Ildi Pekar. She's originally from Budapest, and she has very unique treatments, as well as a brand-new skincare line based on raw honey called I Pekar. She has really transformed my skin. I rarely get breakouts, and my skin tone is much more even now. My favorite treatment is called Microcurrent ($250); it's like a workout for your face!" Jourdan Dunn: "I start off by cleansing with an Emma Hardie Moringa Balm ($57) followed by Exuviance Face Polish ($72) and The Organic Pharmacy Herbal Toner ($65). 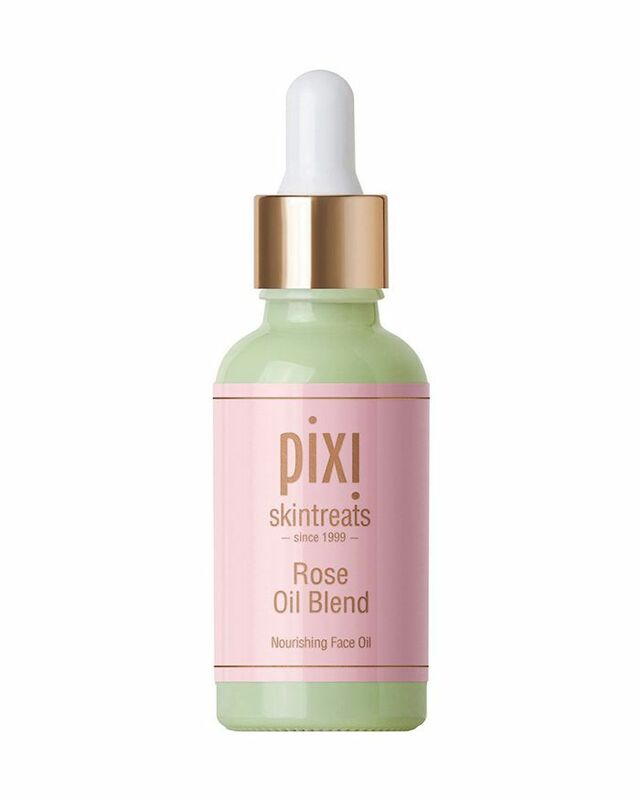 The second half of my routine consists of SkinCeuticals Antioxidant Night Serum ($152) and Pixi Rose Oil ($24) layered on top along with the Beauty Sleep Cream ($24) to lock everything in." Victoria Brito: "I really believe that washing your face in the morning is the most important thing you can do for yourself every day to really hydrate the skin. I use Neutrogena Ultra Gentle Cleanser ($9) in the white bottle. I also have a basic Nivea Cream ($8) that I use, the Nivea Soft Moisturizing Cream ($4). I feel like it's the perfect amount of moisture because you don't want to overdo it and be all gooey. I also have this face exercise I do every day where I put my middle fingers up near my temples and my thumbs at the top of my cheekbones and kind of pull my whole face up for about 10 minutes and hold it in place. I swear it keeps everything looking and feeling lifted. I've learned so many tips and tricks from my mother and grandmother just using regular household items. For example, to get rid of dark circles, take a potato, cut it into slices like a pepperoni, and put one slice over each eye for about 15 to 20 minutes once a week. I swear, after doing it about five times, you'll start to see a drastic reduction of dark circles. The potato literally starts to get dark and shrivel up while you use it—it's crazy! My mom taught me that. Also, to get rid of blackheads, grab a cup, fill it with sugar, and then grab half a lemon, squeeze out all the lemon juice, and rub the mixture onto your skin for five minutes, and it will feel like a baby's bottom—for less than $1! I do that once a week, usually on Sunday night." Kate Moss: "If I wake up in the morning and look tired and puffy, I fill a sink with ice and cucumber and submerge my face," Moss says. "It instantly tightens everything, making you feel and look instantly awake. I saw Joan Crawford do it in Mommy Dearest." Lily Aldridge: "Coconut oil and sugar make a great at-home body scrub," Lily Aldridge says. "Plus, it smells amazing." Need more? Find 11 genius hair tips we learned from celebrities.